Graham Broadhead (Builders) Ltd is a specialist multi-disciplinary local building company based between Wakefield and Huddersfield in Yorkshire. Working with a well established mature team of selected local tradesmen we have an abundance of experience and expertise. Our aim is to turn your dreams into reality. At our first meeting we are able to give you practical advice and help you create and build upon your own ideas. Our work is about delivering a project that not only reflects your taste but within your budget. We aim to build a strong working relationship with our clients with emphasis on customer service. with a high degree of professionalism, our team are courteous, polite and helpful. We adhere to construction 'best practice', no excess noise or anti-social language. We will be considerate to your neighbours too! When you contact us for an estimate, you will benefit from the knowledge and attention of skilled tradesmen not salesmen. We always try to do our best for our customers and are committed to delivering our best service with traditional skills and modern materials. We aim to provide quality projects with our wealth of experience and efficient working practices. Your job will be done to the highest standards, using high quality energy saving materials on the market today and in a cost effective way, all in a time period that's right for you. 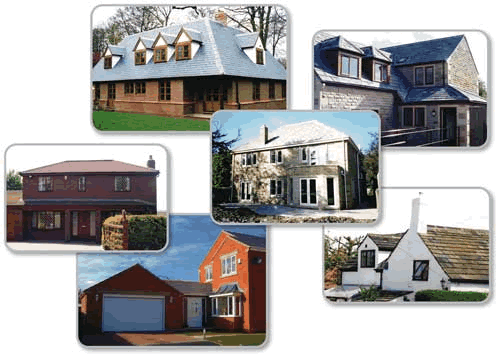 Graham Broadhead (Builders) Ltd - Master Builders - contact us now on 01924 468914.